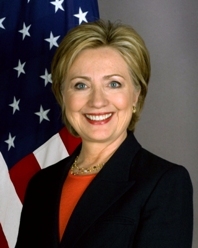 Following Hillary Clinton’s electoral defeat during the late hours of November 8th, analyses by many media outlets and Democratic party members – both caught flat-footed by her loss – morphed from shock to a defensive posture that framed the election in view of Clinton’s growing lead in the popular vote. The debate over the value of the Electoral College in the 21st Century versus, say, the National Popular Vote interstate compact is, of course, a valid one to have in public discourse. To be sure, Clinton has greatly expanded her lead in the popular vote tally as returns from California continue to be counted and she will go down as one of a handful of losing presidential nominees to win the popular vote. Clinton’s tally is currently at just north of 65.2 million votes, behind only Barack Obama in 2008 (69.4 million) and 2012 (65.9 million). Many more votes went to third party and independent candidates this cycle (approximately 8 million) compared to 2008 (2 million) and 2012 (2.3 million), but any comparison by the media or pro-Clinton public officeholders that uses her raw popular vote count as electoral shorthand to demonstrate her relative popularity in a historic sense is misleading at best. [In fact, this point is so obvious it would not ordinarily be worth mentioning were such conflations of raw vote count and popularity not being so widely circulated within the traditional, digital, and social media over the last few weeks]. For starters, 4.4 million more raw votes have already been counted in the 2016 cycle (135.8) than were cast in any other presidential election in U.S. history (131.4 million in 2008 was the previous high water mark). To use a raw vote count as a proxy for popularity across time – when size of the voting population is in constant flux – results in apples-to-oranges comparisons. For example, does anyone believe that Clinton was more ‘popular’ in 2016 than Ronald Reagan in 1984? Reagan won 58.8 percent of the vote in a landslide over Walter Mondale, but received ‘just’ 54.4 million votes (of 92.6 million cast in the much less populated nation). Utilizing such calculus would also suggest that U.S. Senator Elizabeth Warren (1.6 million votes won in 2012, 53.7 percent) is more popular in Massachusetts than John Kennedy was in 1958 (1.3 million, 73.2 percent). Clinton could conceivably pass up Clay once all votes are counted but will still have less than at least a half-dozen other second-place finishers. For his part, Trump currently sits at 46.14 percent of the popular vote (and dropping), which is the seventh lowest among the 48 Electoral College winners since 1828. The victor with the lowest percentage of the vote during this span is Abraham Lincoln with 39.65 percent in 1860 in a race featuring strong performances by Southern Democrat John Breckenridge and Constitutional Unionist John Bell who collectively won 14 states. [Note: John Quincy Adams won only 30.92 percent of the popular vote in 1824 en route to an eventual victory. However, a half-dozen of the 24 states in the Union that cycle – tallying more than 27 percent of the Electoral College vote – still did not hold popular vote contests at that time: Delaware, Georgia, Louisiana, New York, South Carolina, and Vermont. That number dropped to just two in 1828]. Trump also recorded a larger plurality win than Woodrow Wilson in 1912 (41.83 percent), Bill Clinton in 1992 (43.01 percent), Richard Nixon in 1968 (43.42 percent), James Buchanan in 1856 (45.29 percent), and Grover Cleveland in 1892 (46.02). It is possible, though unlikely, that Trump’s numbers will fall below Cleveland’s 46.02 percent after all states certify their vote counts this month. 1 Comment on "Just How ‘Popular’ Was Hillary Clinton?" 1. HRC might have been more sufficiently ‘popular’ than her (principal) opponent, had she a) not set up her own private e-mail server (or at least owned up to it straight away when first reported by the NYT); and b) not kept so much distance from the media (e.g. The Rope Line separating her entourage from the press horde while stumping in IA; Self-defeating non-appearance on the just-ended With All Due Respect, a short-lived basic cable public affairs programme on which Senator Sanders as well as EVERY R contender guested on). 2. In a historic contest of extreme unpopulars, Don the Con did not so much win the election as Hil the Shrill lose it (i.e. national vote share of trumPence, even at present, is actually lower than Ford-Dole of 1976, and even Romney-Ryan 4 years prior).